You may not be familiar with chiropractors or chiropractic care. Therefore, we want to begin by explaining this area of health care and treatment for car accident injuries. 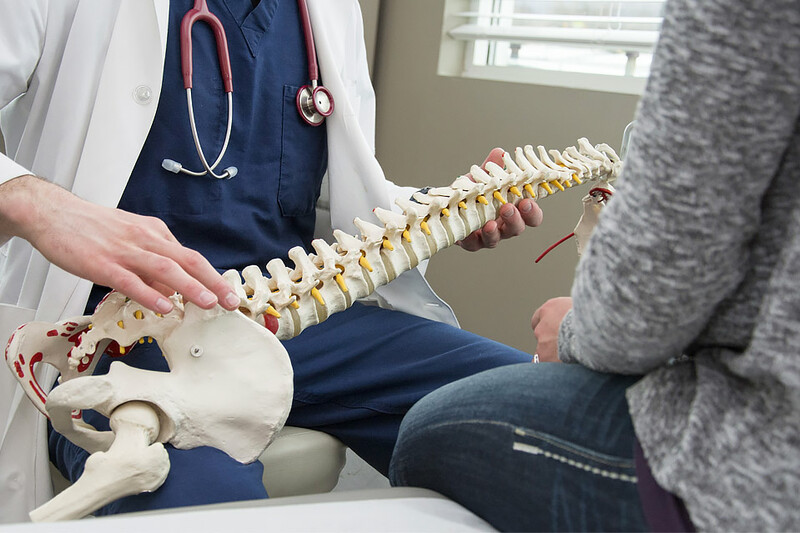 Simply put, a chiropractor or Doctor of Chiropractic (DC) is a health care professional who uses noninvasive methods to treat a variety of neuromuscular disorders. In the late 1800s, Daniel David Palmer began to develop chiropractic methods. [i] He established the Palmer School of Cure in 1897, which still exists today as the Palmer College of Chiropractic. The term “chiropractor” means “to be done by hand.” Therefore, chiropractors use a “hands-on” approach to treat physical injuries instead of using drugs, surgery, or other invasive medical procedures. DCs use a variety of tools to perform extensive examinations to diagnose and treat their patients. Chiropractors focus on spinal health and joints throughout the body and their connection to the nervous system. By using spinal manipulation (chiropractic adjustment) and other soft-tissue therapies, chiropractors restore joint function, increase mobility, and relieve pain. According to the American Chiropractic Association (ACA), chiropractors are trained and educated in four-year doctoral graduate school programs that are nationally accredited. [ii] On average, the minimum educational requirements for a DC includes 4,200 hours of classroom instruction, laboratory studies, and a clinical internship. The National Board of Chiropractic Examiners (NBCE) oversees the licensure and certification of chiropractors. As with other medical providers, DCs must pass a board exam and obtain a license in the state they desire to practice. They must also attend a minimum number of continuing education courses to maintain their license. Most federal and state programs and agencies recognize chiropractors as physician-level health care providers, according to the ACA. As briefly discussed above, chiropractic care focuses on the relationship between the spine and the nervous system. The emphasis is on the body’s ability to heal itself without surgery or drugs. Through chiropractic care, the DC corrects joint and spinal problems to facilitate the body’s restoration and preservation of health. In most cases, a chiropractor uses his or her hands to gently manipulate the spine to bring the spine into its correct position. Some DCs also use specialized instruments to help realign the body’s musculoskeletal structure to promote healthy nervous system function that allows the body to heal itself. Manipulation is also used to treat soft-tissue injuries caused by a traumatic event, such as a motor vehicle accident. Chiropractors may also coordinate care with other health care professionals when a multi-disciplinary approach is necessary to provide comprehensive treatment for one or more health issues. We discuss the various methods and instruments used by chiropractors in greater detail in Chapter Six. If you have been injured, The Pinder Plotkin Legal Team can help you recover compensation for your injuries, including compensation for physical therapy, surgery, and chiropractic care. If you suffer a personal injury or are involved in a work-related accident, and Pinder Plotkin agrees to take your case, you do not pay a dime unless there is a recovery by settlement or judgment. Please call us today at (410) 661-9440 or online.